Far from devolving power for urban decision-making to Australia’s cities, the recently announced City Deals are symptomatic of the increasing centralisation of intergovernmental roles and responsibilities. 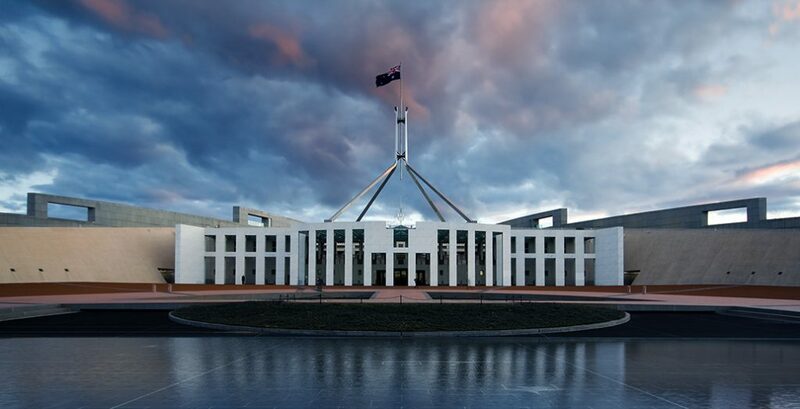 The federal government of Australia, without a constitutional mandate, seeks to determine the selection and financing of infrastructure projects in capital and regional cities, and to prescribe city-based reforms. The Commonwealth government can assert this role because the tax revenue it raises considerably exceeds its expenditure responsibilities (in what’s known as ‘vertical fiscal imbalance’), apparently more so than any other Federal country. The Commonwealth has funds for infrastructure projects. Under City Deals, it expects state and local governments, in collaboration with the private sector, to bid for this funding in competition with one another. Angus Taylor, Assistant Minister for Cities and Digital Transformation, has explained that ‘A City Deal model for Melbourne will work if government and the private sector are in partnership, upfront.’ Collaboration with the private sector is, nominally (see below), a precondition to obtaining infrastructure funding. The rationale for this process of funding infrastructure projects references the UK model of City Deals. The UK version of the model is premised on local governments and leading businesses knowing better than central government how best to promote their city’s economic growth. The model involves decentralising responsibility and resources for promoting economic development, and for ensuring the provision of certain social infrastructure and services, typically through metro-scale partnerships among local governments and collaboration with the private sector. In the UK, the City Deals model has since been replaced by a Devolution Deals model that involves, for example, the creation of metropolitan government with directly elected, executive mayors and the extensive devolution of ‘powers, funding and accountability for policies and functions previously undertaken by central government’. The Commonwealth will decide what projects will most contribute to economic development in the cities. The Commonwealth seeks to leverage private investment with a view to maximising economic growth and to promoting city-based reforms. State and local governments, with the private sector, are to bid for projects and the Commonwealth will decide what projects will most contribute to economic development in the cities. In regard to tying funding to city-based reforms, the Commonwealth imagines that it has a better grasp of how cities should be planned and managed. The improbability of depoliticising infrastructure investment is apparent from the fact that the first City Deal, the publicly-funded Townsville stadium, was promised by both the Australian Labor Party and the Coalition in the recent elections. Nonetheless, it is to be expected that the majority of infrastructure projects will involve private sector collaboration and have an economic rationale. The second City Deal located in Western Sydney aims to deliver 100,000 ‘jobs, transport, and services centred around a new airport at Badgerys Creek’. Presently, there is insufficient detail to comment on the City Deal. Of considerable interest is the Commonwealth’s intention to tie the availability of funding to city-based reforms. What might these reforms be? Whose agenda will be served? In this respect it is of interest that the City Deals model was promoted in Australia by KPMG and the Property Council of Australia (2014) – City Deals: Supercharging Australia’s economic growth and productivity – and based on KPMG’s (2014) Introducing UK City Deals: A smart approach to supercharging economic growth and productivity. The recurring theme in the Commonwealth’s approach to infrastructure funding is that it knows better than state and local governments. It is thus no surprise that Treasurer Scott Morrison, in his assessment of housing affordability, serves the agenda of property developers and calls for state governments to remove ‘residential land use planning regulations that unnecessarily impede housing supply’. Seemingly absent is a serious analysis of the housing sector and the impacts of capital gains tax and negative gearing, both of which contribute to house price increases and inequality in Australia. The recurring theme in the Commonwealth’s approach to infrastructure funding is that it knows better than state and local governments what will contribute to a city’s economic and social development and how cities should be managed and planned. This view contrasts with the global practice of horizontal knowledge sharing among cities. Transnational municipal networks such as the World Association of the Major Metropolises (Metropolis), the World Cities Summit, the United Cities and Local Governments and Cities Climate Leadership Group (C40) are nowadays the route to knowledge about how best cities might be planned and managed, and how economic growth might be promoted. To quote Montréal’s Mayor Denis Coderre, ‘You don’t define the world through countries and continents anymore. You define the world through cities.’ The global trend is decentralisation, metro-scale restructuring and knowledge sharing among cities. Australia’s federal government, as recent policy announcements demonstrate, seems intent on going in the opposite direction. Richard Tomlinson is Professor in Urban Planning at the University of Melbourne. He is currently researching metropolitan governance reform in Australia and editing a book on the topic.